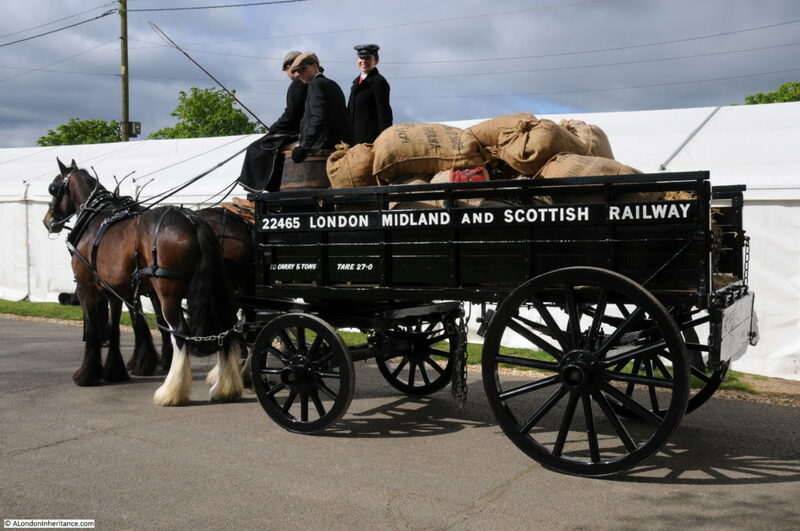 They show the vehicles that in 1949 were still probably in use across London transporting people and all manner of goods essential for the functioning of the city. 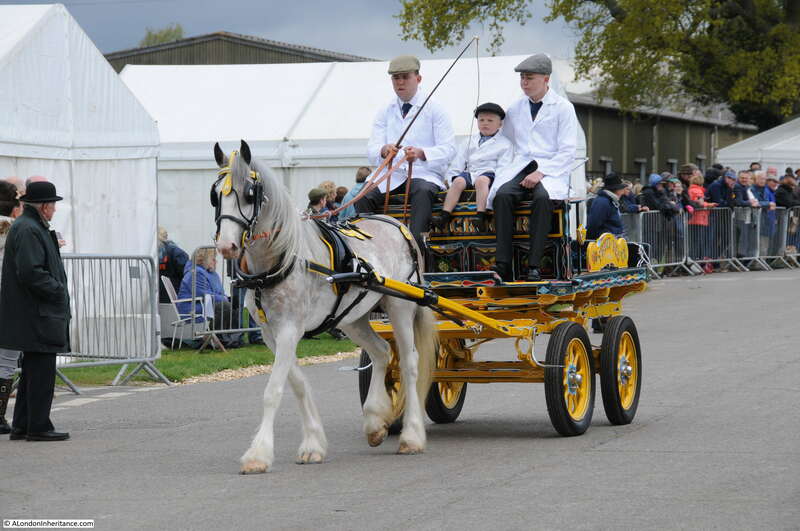 The original London Cart Horse Parade was founded in 1885 with the aim of improving the conditions of the thousands of horses that carried both goods and people along the streets of London. It was held on Whit Monday, starting in Battersea Park before moving to Regent’s Park. The London Van Horse Parade ran from 1904 with the same objectives, but was held on an Easter Monday. These parades must have had a considerable impact on the surrounding streets as there were hundreds of entries (the largest Van Horse Parade has 1,259 animals in the parade in 1914). 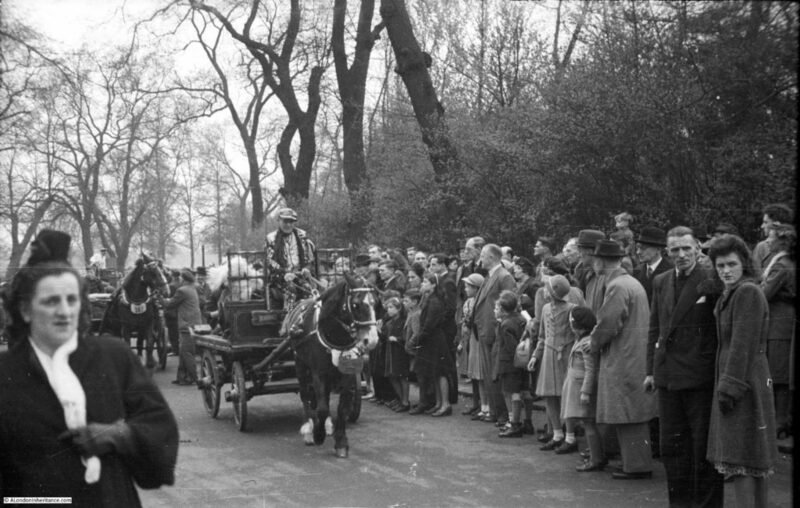 After the presentation of prizes at the Cart Horse Parade, the procession would leave Regent’s Park and proceed along Albany Street, Portland Place, Oxford Street, Tottenham Court Road, Euston Road and to King’s Cross. From 1950 the numbers of entries to the parades started to decline. 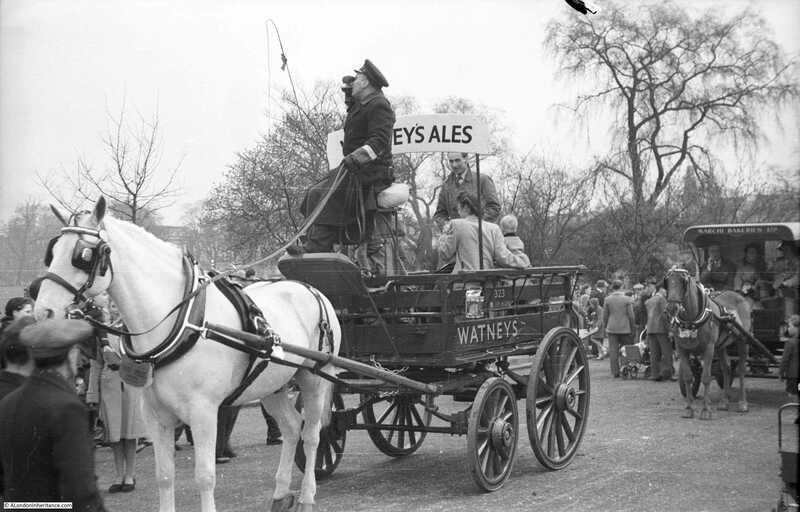 Rapid growth in the use of cars, vans and lorries meant that the need for horse driven transport was in sharp decline and in 1966 the two parades joined to become the London Harness Horse Parade, continuing to be held on Easter Monday in Regent’s Park. In 1995 the parade moved to Battersea Park, but in 2006 the costs and health and safety requirements of operating such a parade in central London meant that it was no longer possible to run the parade in Battersea Park and it moved out of London. 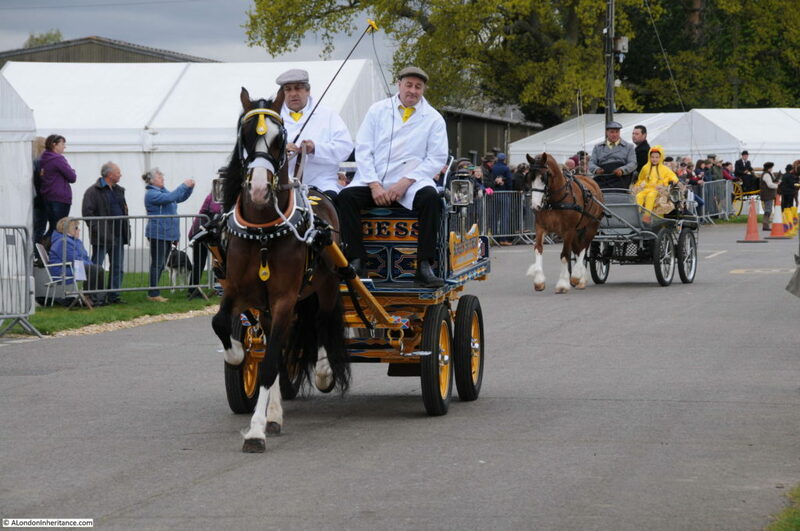 The London Harness Horse Parade continues to be held on Easter Monday, but now at the South of England Showground at Ardingly in West Sussex. My aim with this blog is to track down the locations of my father’s post war photos. 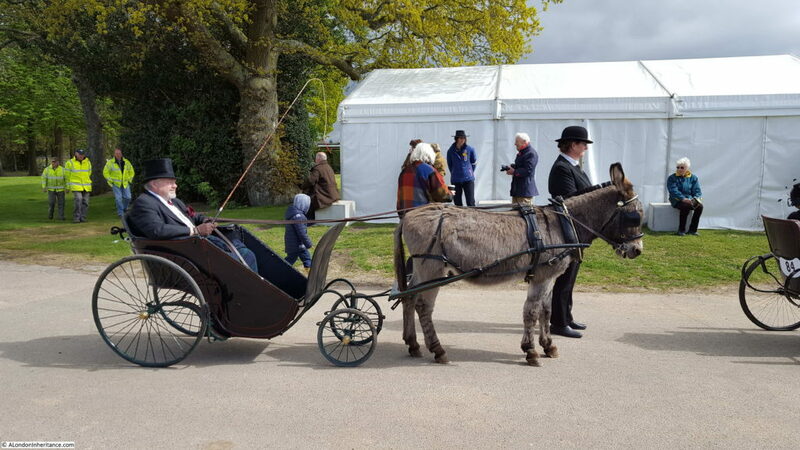 For the photos he took of the parade in Regent’s Park, the nearest I could get was to visit the parade in its current location, so this Easter Monday I traveled out to Ardingly to see if the London Harness Horse Parade resembled the photos taken by my father in 1949. 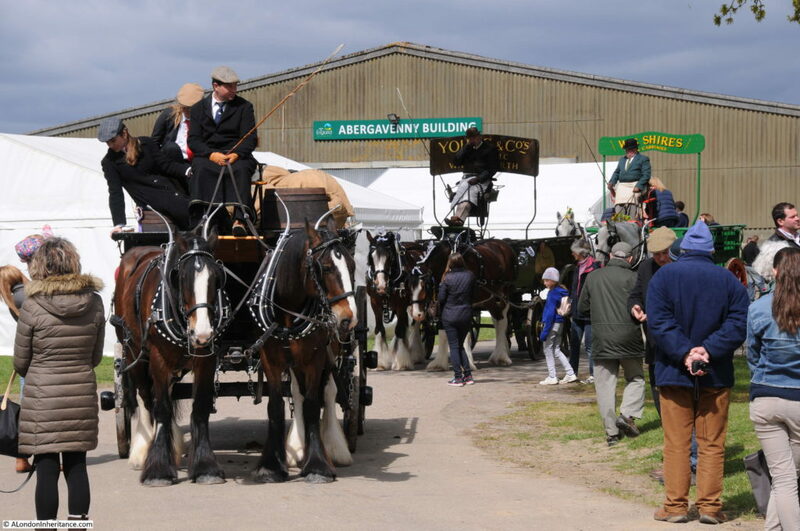 A showground in West Sussex is very different to Regent’s Park, however the aims of the current parade are still the same as when the parade was first held in 1885. To encourage and demonstrate the welfare of the horses, maintenance of the harness and vehicles and the standards of the driver. The parade is a window on a way of life that has long since departed from London. 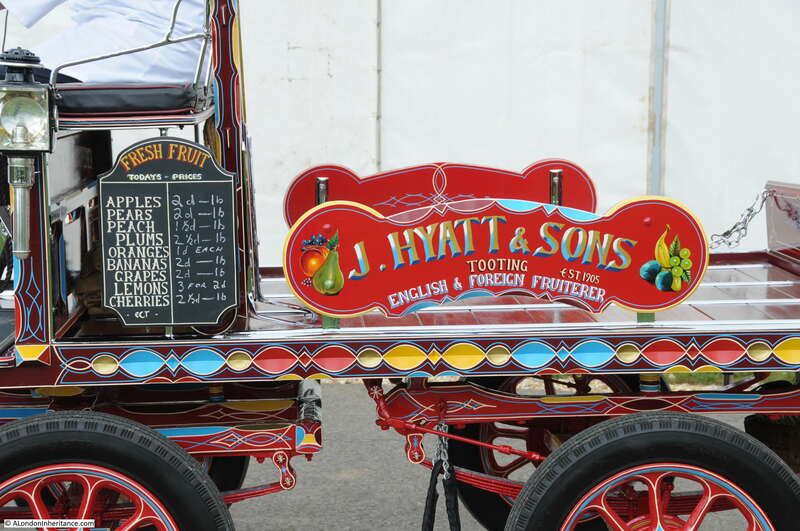 Entries now come from the counties surrounding London, but many of the vehicles are originals that would have once worked the city’s streets, carrying all manner of goods and passengers. The following photo is from the book “The Queen’s London” published in 1896. 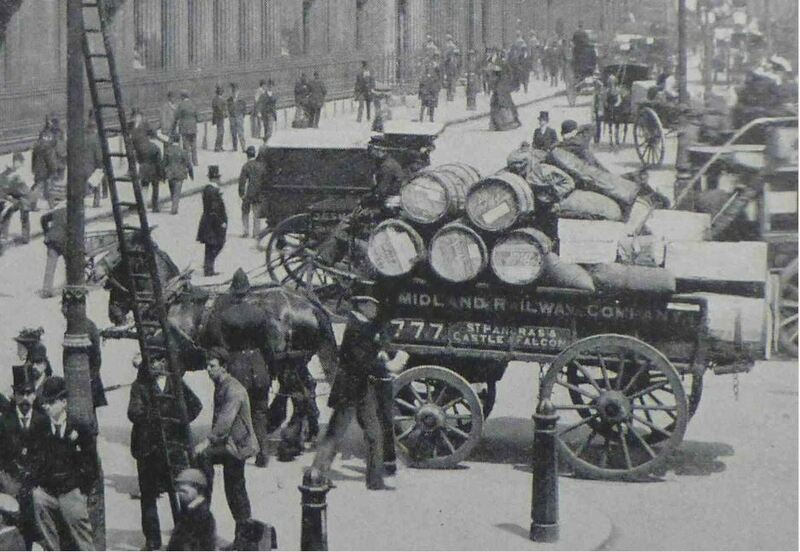 It shows an identical open van in front of the Bank of England transporting goods for the Midland Railway Company. The historical accuracy of the 2017 vehicle is such that a chain is hanging down underneath the van in both photos (I only realised this after the event when I was comparing photos otherwise I would have asked what the chain was for). 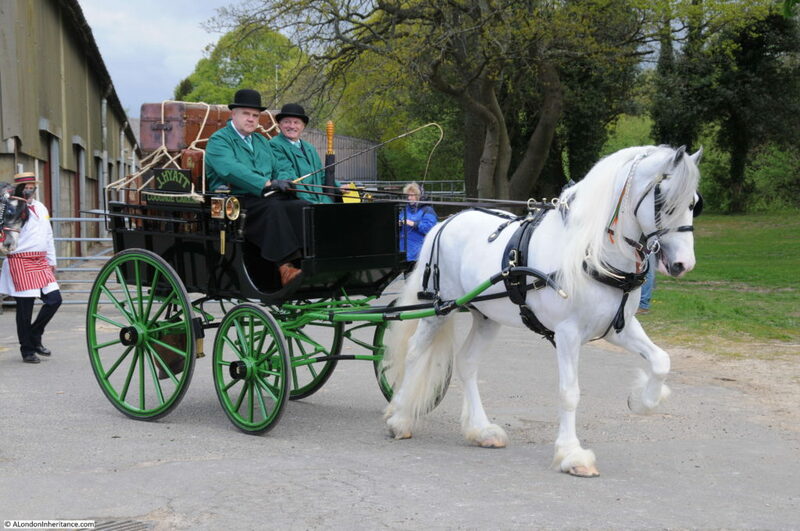 As part of the event, each horse is checked by a vet, continuing the aims set out for the parade in 1885 that the welfare of the horses is to be encouraged. The parade is not competitive, there is no winner, rather all those that achieve the required standard receive a rosette. 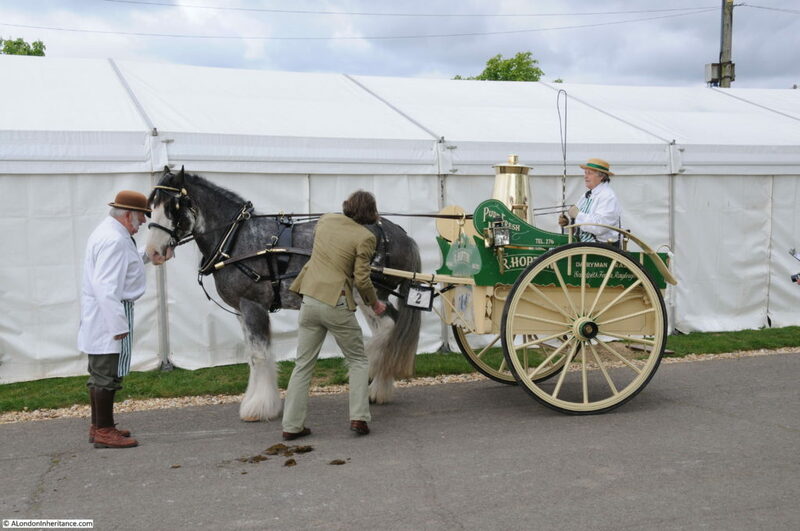 As well as the condition of the horses, the vehicles are also judged and are immaculately preserved and maintained. 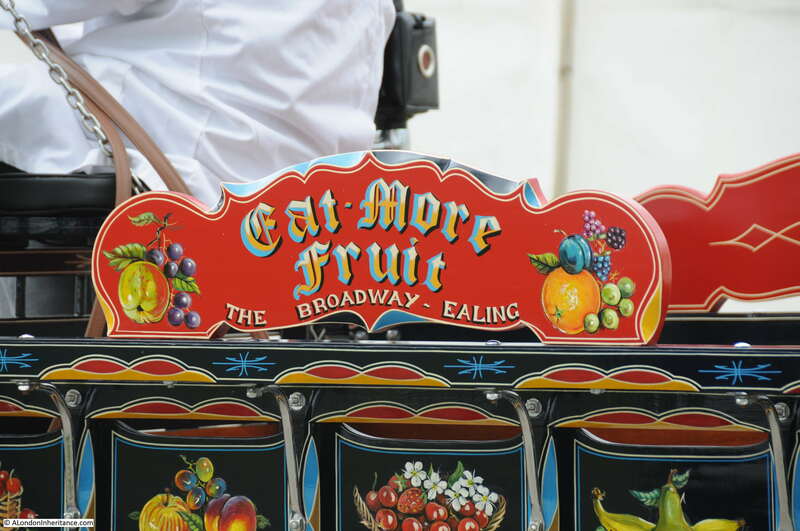 Many of the vehicles are from the 1920s and 30s highlighting that it was not just in the 19th century that horse-drawn transport was used across London, it was still a means of transport well into the 20th century. 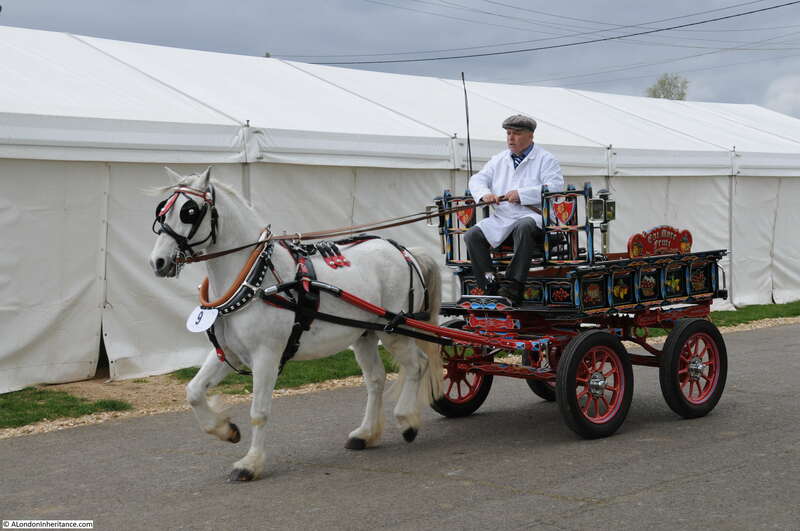 The London Harness Horse Parade is now much smaller than the parades once held in Regent’s and Battersea Parks. In 1926 there were 864 vehicles entered in the Easter Monday parade, today there were around 100 entries to the 2017 parade. It is though really good to see that the parade is still running every year and true to its original purpose of improving the conditions and treatment of London’s cart horses. 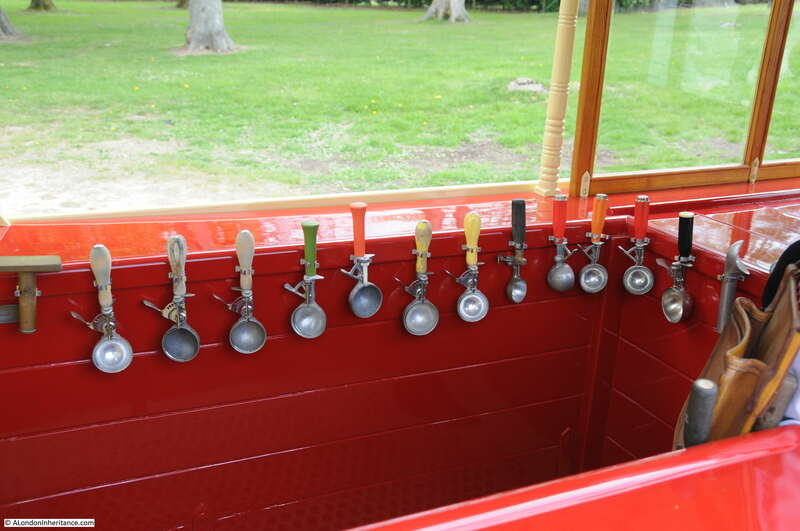 Also, a place to see a historically accurate display of the vehicles that were once essential in nearly all aspects of the life of the city. 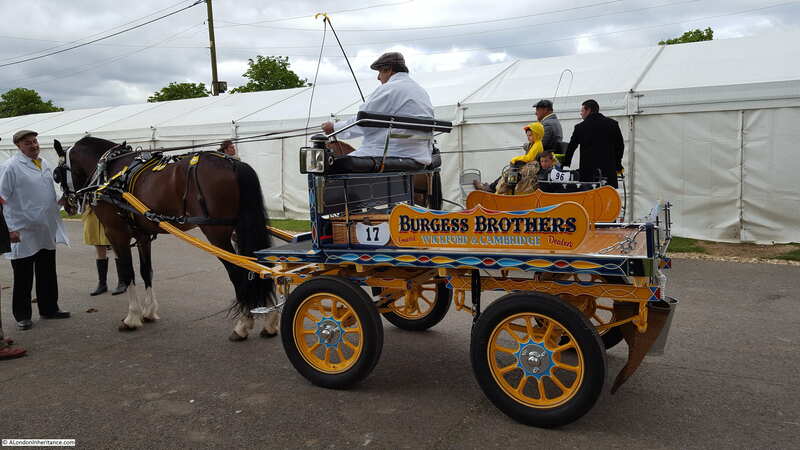 This entry was posted in Events and Ceremonies and tagged London Harness Horse Parade on April 21, 2017 by admin. I wonder, please may I re-blog this post on my family history site ‘Notes on a family’ ? It’s a perfect memory of something I commented on recently on your ‘London cart horse parade’ post, using my main margaret21.com address. I note you don’t have a ‘reblogging’ button, so maybe this is something you don’t allow. But this is such a fascinating read, with wonderful pictures. Hi Margaret, yes this is fine. If you could also link back to my blog. I need to look into a reblogging button. Thanks so much. Of course I’ll provide proper links and acknowledgement. It may not be for a few weeks yet. As with you …. busy lives get in the way. Great photo’s and post. 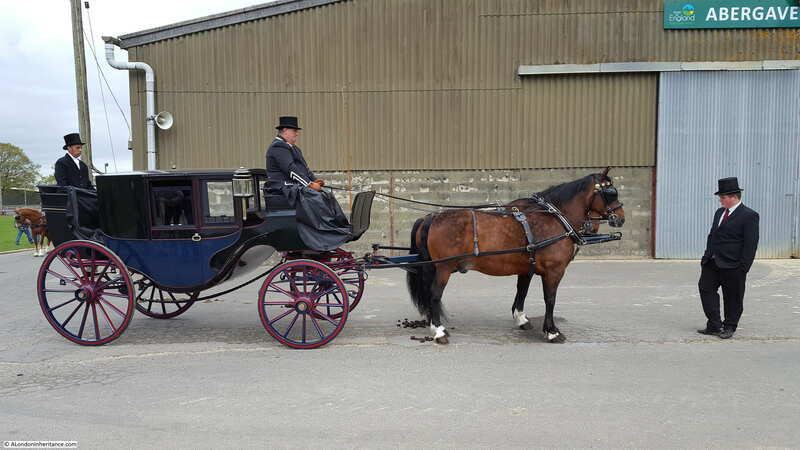 I was pleased that you mentioned that one of the original aims was to improve the conditions & health of the horses pulling these vehicles. I say horses, but many of them were ponies; and there were also some donkeys and mules pulling carts. 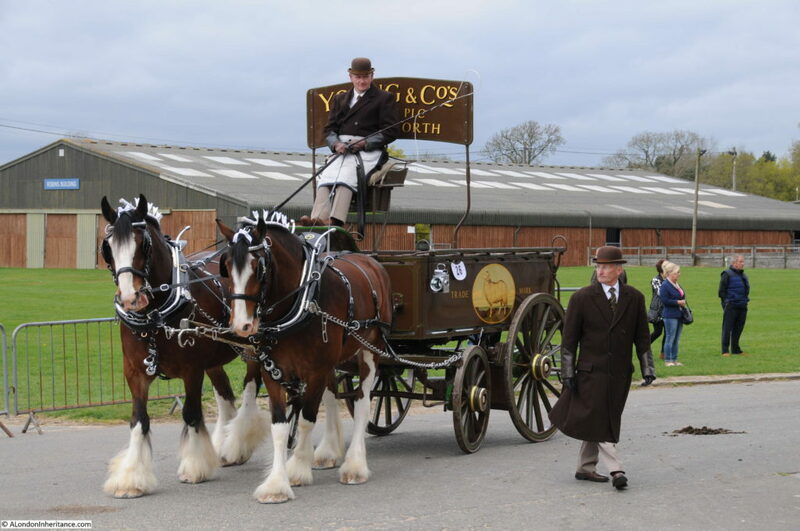 My father was taken along to see the show by his father in the 1930’s; then in the 1950/60’s he went as part of his job at the “Home of Rest for Horses”. Even in the 1950’s there were still many horses working, and stabled, within central London. Often my father went to collect a horse, or pony, from a small mews stable. Not easy with a horsebox! Many of these horses had never put their hooves on grass until they reached the paddocks of the Home of Rest. 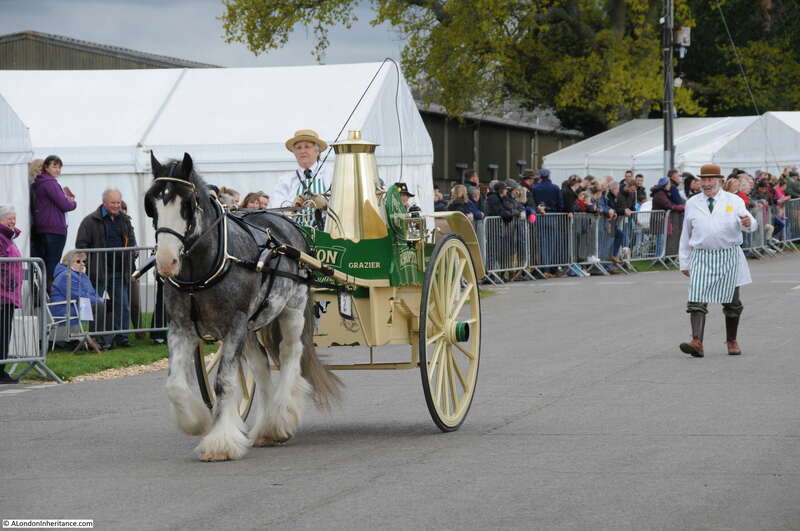 It’s nice to see the Young and Co delivery dray is still around. I grew up in Earlsfield in the 60s/70s and often saw it along Garratt Lane, or delivering beer to the Leather Bottle pub. Thank you for sharing that with us. Glad to see some people are keeping up the traditions, when it seems some of us are on the cusp of moving on from the horseless carriage to the driverless car. What a pity that the parade cannot still reach a much larger audience by being based in London. I wonder what “health and safety” issues are solved by going out to Sussex. Like Jools I grew up in the Borough of Wandsworth and the Young’s Brewery drays were a common sight. They were still being used for everyday deliveries (i.e. commercially and not for show) well into the 1970s. A couple of years ago I visited Hook Norton in Oxfordshire and, unbelievably, horse-drawn drays are still used for deliveries to the pubs in the local villages from the steam-powered brewery in Hook Norton. It’s a (very pleasant) time warp. 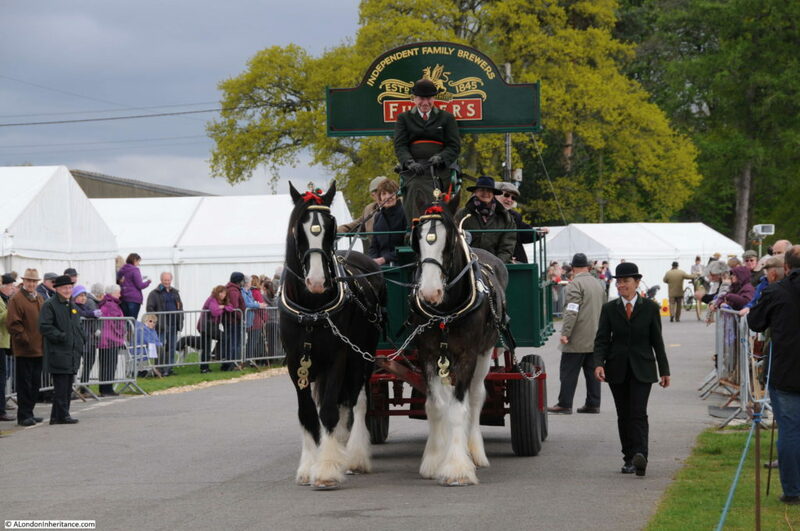 The two horses we saw were of differing tastes – one was very partial to a pint of bitter while the other was a confirmed teetotaller. Correction – it was 1997 when Young’s withdrw their horse drawn drays from the streets of SW London. It seems road rage was the reason why – says much about our society now! Lovely post. The horses look well-cared for in the vintage photographs–a team with shiny coats pulling the Midland van. Interesting post as usual. I do look forward to your blogs. Good to see they still hold the parade. Growing up in West London in the fifties and sixties horses and carts were frequently seen going about their business. 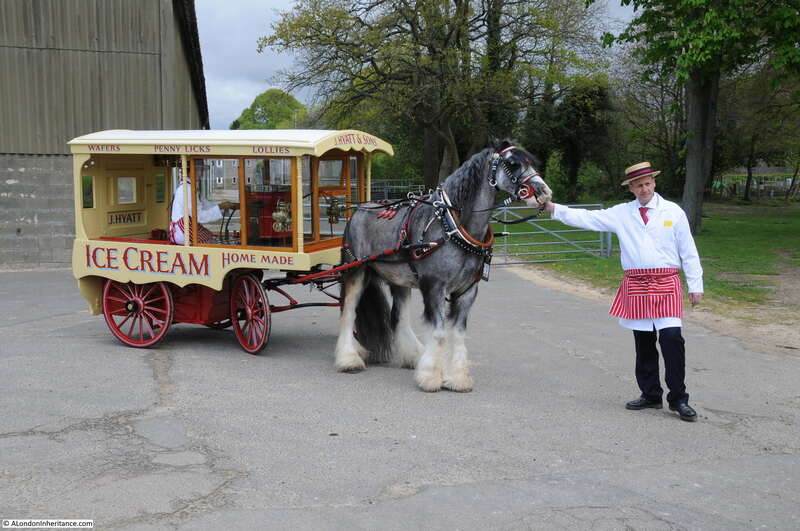 We had rag and bone men with horse and carts; our greengrocer used to do deliveries in a horse and cart and we had a milkman who also delivered by horse and cart. Hard to imagine it now. By the seventies they had all disappeared.